such as Chinese herbal medicine , Electro-stim Acupuncture, Moxibustion, Cupping, Trigger Point and Myofascial Release as well as Lab testing such as Hair Analysis which is very good at detecting mineral imbalances that reflect your overall adrenal, thyroid function. Hair analysis is an accurate way to diagnose Adrenal fatigue, Metabolic disorders and Heavy Metal toxicity. My Hollywood pain relief clinic offers holistic treatment for both acute injuries and illnesses such as cold and flu, along with preventative care and treatment for chronic illnesses associated with Adrenal Stress, Adrenal fatigue, and difficulty Sleeping. 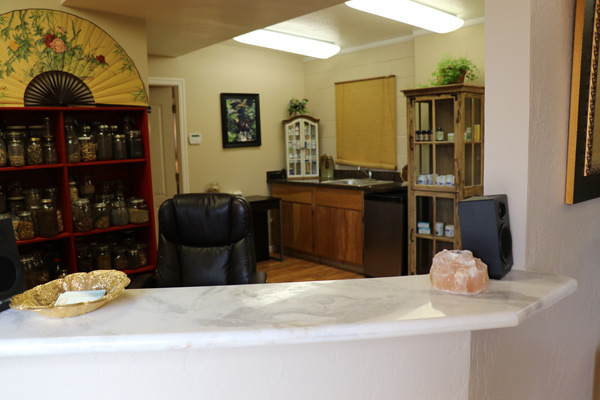 Holistic Placerville pain relief treatments include therapies that treat the mind, body and emotions that can be creating blockages in the tissues and causing the pain and suffering that your mind is experiencing. Using gentle touch techniques such as Qigong Energy healing and Chi Nei Tsang Abdominal Massage, I can transport you back in time to your previous state of health, by releasing these old traumas and emotions from your muscle meridians and with Visceral Organ Qi Massage (aka Chi Nei Tsang). Providing holistic pain relief therapies in Placerville, El Dorado County, Folsom, Cameron Park, Camino, Shingle Springs, Pollock Pines, Pleasant valley, Somerset El Dorado Hills, Columa, Apple Hill areas. Combining modern science with traditional healing modalities! True healing comes after correctly identifying the underlying mechanisms and then providing answers and natural therapies with true healing benefits!